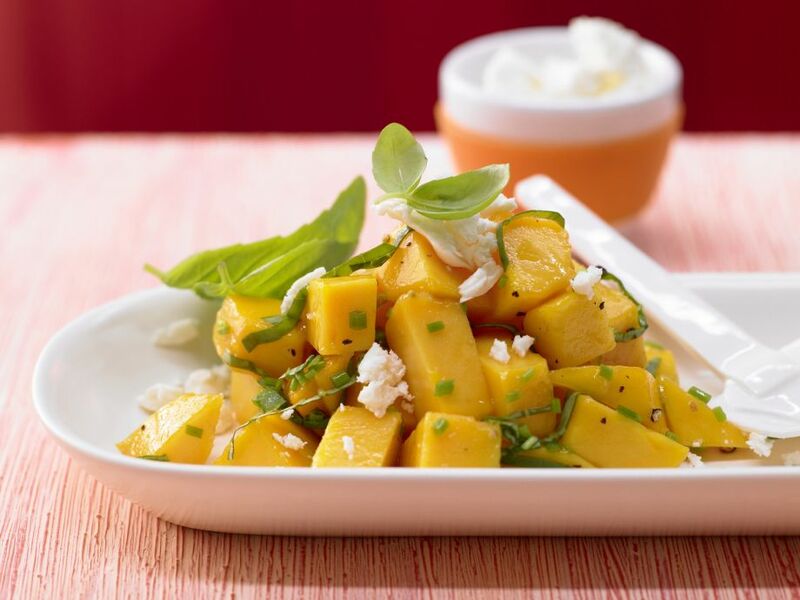 1 Peel mango, cut flesh into thick slices around the pit, then cut into cubes and place in a bowl. 2 Rinse herbs and shake dry. Thinly slice chives. Pluck basil leaves and reserve some for garnish. Cut the rest into thin strips. 3 Squeeze out lemon juice and add to mango along with chives and basil strips. Season with pepper and let stand for 10 minutes. 4 Arrange mango salad on a platter. Pat feta cheese dry with paper towels and crumble over the salad. Garnish with basil leaves and serve immediately.